Though it may seem extremely counter-intuitive, the reality is that keyword rich content related to Jesus is frequently very sparse or even missing altogether from church websites. This is typically caused by these websites being focused on meeting the needs of those who already attend the church, leaving those seeking information about Christ left wanting. This subject presents an exceptional opportunity for churches because there are many keywords surrounding Jesus that have very high search volumes in Google. “Jesus Christ”, “who is Jesus?”, “miracles of Jesus”, and “history of Jesus Christ” are all searched for in Google extensively every month. 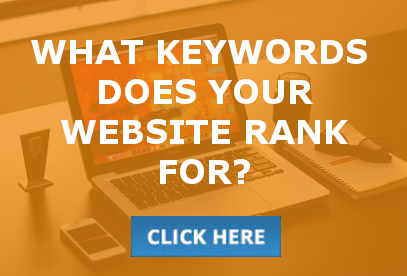 The reality is that ranking organically for the keywords above is highly competitive, and will require keyword optimized, quality content to be created, maintained, and linked-to by others for years. While this is a noble goal to work towards in the long term that could in time be a game-changer for your church, having keyword optimized content about Jesus on your website does present a much more immediate opportunity. 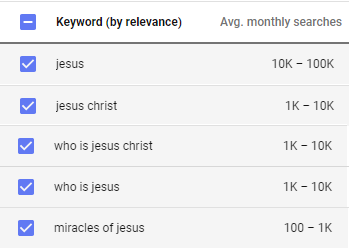 While ranking organically for Jesus focused keywords is a long-term endeavor, an extremely powerful short term opportunity still exists: running Google Grant funded (or out-of-pocked paid, if you prefer) advertising campaigns targeting Jesus focused keywords. In order to run campaigns built around these keywords, the first step is having quality keyword focused content on your church website that will produce a strong Google Quality Score. Essentially, this is the same first step toward ranking organically, but using the Google Ad Grant, you can start bringing meaningful traffic to your church website right away. Running a campaign for these keywords will allow your church to be shown as the top search result to those that your ad is served. In short, this means that your campaign can make sure that those in your community searching for information about Jesus will be exposed to your church before anything else. Clearly, this produces extremely valuable traffic, as such people are already searching for answers about Jesus. 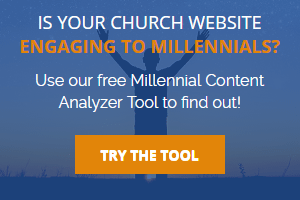 If you’d like to see if your church website already has Jesus-focused content optimized for the keywords discussed above, our Keyword Analyzer Tool can crawl your site to check for these keywords. Simply be sure to select the “Jesus” keyword group from within the “Keyword groups common to all church denominations” section when setting up your crawl. You can also use this tool to search for a wide variety of Ministry related keywords in the places that Google values. If you’re interested in running Google Ad Grant funded campaigns targeting those searching for Jesus but don’t know if your church is eligible for a grant, our Google Grant Eligibility Checker can help. We also have developed a Google Grant Impact Estimator to give you an idea what kind of impact a Google Grant could have on your church’s online outreach. 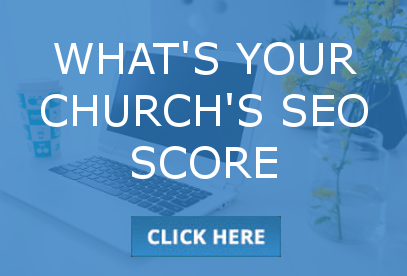 Simply answer a few simple questions about your church, and we’ll provide an instant estimate. 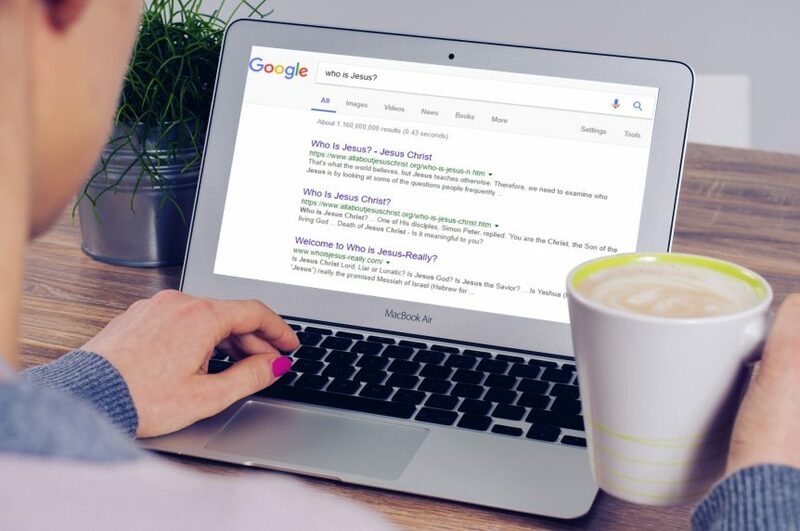 If your church already has a grant, or you’d simply like to speak with us for more information about reaching out to those in your community searching Google for Jesus, please click the “Schedule an Appointment” button below. We look forward to talking with you!